1. Immigrants don't pay taxes. Immigrants pay taxes, in the form of income, property, sales, and taxes at the federal and state level. As far as income tax payments go, sources vary in their accounts, but a range of studies find that immigrants pay between $90 and $140 billion a year in federal, state, and local taxes. Undocumented immigrants pay income taxes as well, as evidenced by the Social Security Administration's "suspense file" (taxes that cannot be matched to workers' names and social security numbers), which grew by $20 billion between 1990 and 1998. 2. Immigrants come here to take welfare. 3. Immigrants send all their money back to their home countries. 4. Immigrants take jobs and opportunity away from Americans. 5. Immigrants are a drain on the U.S. economy. During the 1990s, half of all new workers were foreign-born, filling gaps left by native-born workers in both the high- and low-skill ends of the spectrum. Immigrants fill jobs in key sectors, start their own businesses, and contribute to a thriving economy. The net benefit of immigration to the U.S. is nearly $10 billion annually. As Alan Greenspan points out, 70% of immigrants arrive in prime working age. That means we haven't spent a penny on their education, yet they are transplanted into our workforce and will contribute $500 billion toward our social security system over the next 20 years. 6. Immigrants don't want to learn English or become Americans. 7. Today's immigrants are different than those of 100 years ago. The percentage of the U.S. population that is foreign-born now stands at 11.5%; in the early 20th century it was approximately 15%. Similar to accusations about today's immigrants, those of 100 years ago initially often settled in mono-ethnic neighborhoods, spoke their native languages, and built up newspapers and businesses that catered to their fellow émigrés. They also experienced the same types of discrimination that today's immigrants face, and integrated within American culture at a similar rate. If we view history objectively, we remember that every new wave of immigrants has been met with suspicion and doubt and yet, ultimately, every past wave of immigrants has been vindicated and saluted. 8. Most immigrants cross the border illegally. Around 75% of today's immigrants have legal permanent (immigrant) visas; of the 25% that are undocumented, 40% overstayed temporary (non-immigrant) visas. 9. Weak U.S. border enforcement has led to high undocumented immigration. From 1986 to 1998, the Border Patrol's budget increased six-fold and the number of agents stationed on our southwest border doubled to 8,500. The Border Patrol also toughened its enforcement strategy, heavily fortifying typical urban entry points and pushing migrants into dangerous desert areas, in hopes of deterring crossings. Instead, the undocumented immigrant population doubled in that timeframe, to 8 million-despite the legalization of nearly 3 million immigrants after the enactment of the Immigration Reform and Control Act in 1986. Insufficient legal avenues for immigrants to enter the U.S., compared with the number of jobs in need of workers, has significantly contributed to this current conundrum. 10. The war on terrorism can be won through immigration restrictions. Looks like NY is following states like CA in making pretty major state policy changes to accommodate much needed federal support. Check out the A11310 full legislation here. Assembly Speaker Sheldon Silver and Education Committee Chair Catherine Nolan today announced the passage of legislation to reform the state's charter school system. The leg islation (A.11310) would raise the cap on charter schools from 200 to 460, helping to ensure that New York State will have one of the nation's most competitive applications for federal funding under the Race to the Top (RTTT) grant program in time for the June 1 deadline. This measure, in conjunction with a strong teacher evaluation system authorized earlier in the week and funding for long-term assessment of student achievement, will help ensure that New York State receives maximum RTTT funding. "These sweeping reforms will help put an end to divisive fighting over school space and give a meaningful voice in the process to traditional public school parents," said Silver (D-Manhattan). "The legislation also increases transparency by giving the State Comptroller auditing power over charter schools, while ensuring that they enroll and retain children with special needs. This measure will undoubtedly encoura ge the creation of more successful charter schools in New York State." "This bill will allow New York State to submit a competitive application for federal Race to the Top funding and increase our chances at receiving up to $700 million for our schools," said Nolan (D-Queens). "I would like to thank New York State Board of Regents Chancellor Merryl Tisch, New York State Education Commissioner David Steiner and Senior Deputy Commissioner John King for their leadership, cooperation and hard work." The legislation creates a new request for proposals process for the creation of 260 new charter schools. The new system favors applications which best respond to certain Race to the Top objectives such as increasing high school graduation rates and addressing student achievement gaps in reading/language arts and mathematics. Requests for proposals for new charter schools would be issued by the Board of Regents and SUNY trustees after undergoing a public review process . * Increase accountability by new disclosure and ethics provisions. The Assembly also passed legislation today that would provide financial support for a state longitudinal data system to measure long-term student achievement (A.11309). Earlier this week, the Assembly passed legislation enhancing the statewide evaluation system for teachers and principals (A.11171). An ad-hoc working group comprised of representatives from over a dozen leading professional and academic associations has issued a joint statement condemning Arizona’s immigration law (SB 1070) and related state policies such as the prohibition against Ethnic Studies programs (HB 2281), calling for these laws to be rescinded. The “Consortium of Professional and Academic Associations” believes that these laws are inherently unjust, and that their application threatens to inflame anti-immigrant sentiments and undermine constructive solutions to the challenges faced by communities in Arizona and across the nation. We call upon the governor, legislators, and people of Arizona to work diligently and swiftly to repeal these laws. Our organizations include members from fields including sociology, criminology, political science, peace studies, psychology, anthropology, environmental studies, Chicano/a studies, and a multitude of related areas of study. Our collective membership numbers more than 10,000 scholars, educators, and activists, with many residing in Arizona. The decision to join together in issuing the open letter below represents an unprecedented and historical moment of collaboration. As academics and professionals concerned about social and environmental justice, human rights, and due process, we add our collective voices to those of many others from across the country calling for the immediate rescission of SB 1070 (and, as amended, HB 2162) and HB 2281 in the name of equity, compassion, integrity, constitutionality, and sound public policy. We wish to express our deep concern with and unequivocal condemnation of Senate Bill 1070, which you signed into law on April 23, 2010. By making it a state crime to be in Arizona without federal authorization, and also making it a punishable offense to support someone without the appropriate documents, SB 1070 criminalizes countless decent human beings who live, work, pay taxes, and raise their families in Arizona. In addition, the enforcement of such a constitutionally problematic law threatens everyone’s civil rights in the process, and undermines the potential for fostering an environment based on peace and social justice. We unanimously denounce this law and strenuously urge that you rescind it in the name of compassion and human dignity. We are all non-partisan professional organizations of scholars, educators, and practitioners, with thousands of members from across the country and abroad, committed to and knowledgeable about a wide range of social justice and environmental issues. We count among our members numerous scholars and other professionals who are among the most knowledgeable in the country on the subjects of immigration, including undocumented immigration, and our legal and political systems. While immigration reform in the United States may be overdue, we also know that using this to justify state laws that usurp federal authority over immigration will create many more legal and social problems than it resolves. Moreover, we note that the combined effect of SB 1070 with the prohibition on Ethnic Studies contained in HB 2281 creates an atmosphere of legislated intolerance and racialized politicking that is simply untenable, unwise, and unjust. Indeed, the simple fact that SB 1070 had to be amended, under pressure following its passage, by HB 2162 (which sought to qualify the conditions for officer contact) demonstrates quite clearly the inherently flawed and potentially racist implications of this piece of legislation. We note here as well that the purported “remedy” of requiring a “stop” before officers can inquire further about legal status based a “reasonable suspicion” is equally expansive in its application, and thus equally problematic. These alterations, again adopted in haste following public pressure, will not provide sufficient protection against racial profiling. Police officers are not immigration officers. Putting them in the position of enforcing federal immigration law will destroy the trust between police officers and communities so essential for effective law enforcement. It will also lead to unwarranted and prolonged detention of citizens and legal residents, increasing the likelihood of civil rights litigation against police departments, cities, and towns, and potentially damaging family units across the state. Despite language ostensibly prohibiting racial profiling, this will be the de facto reality of the law’s implementation. Physical appearance, particularly being of Hispanic background, will unavoidably remain the primary factor determining whether someone is or is not asked to prove her or his citizenship or residency status. For all these reasons, many law enforcement leaders across the country, as well as in Arizona, oppose this law. It would be wise to heed the objections of the law enforcement officers who are now faced with enforcing this unjust law. For some, the stated intent of SB 1070 unequivocally is to cleanse Arizona of its undocumented immigrants and their families, among them children and other relatives born in the United States, as evidenced by the fact that legislative supporters of this law have repeatedly and proudly described this as part of a strategy to make life so unbearable for undocumented residents and their families that they will leave the state. Any law whose goal and effect is to drive an ethnic population to leave its place of residence is a crime against humanity under current international law. The law will also have the effect of separating cohesive family units, leading to increased marginalization and immiseration among communities already facing grave challenges. In this manner, SB 1070 risks making Arizona a pariah state on the national and international stages. Opposition to this law has been rapid and strong, and is likely to become even stronger, as more and more groups and individuals boycott the state of Arizona and businesses based in Arizona. We are aware as well of the ostensible support in the state for the law, and therefore recognize the political pressures that have led you to pass this law. But widespread support for a law does not make it just; not long ago the majority of southerners supported segregation laws. As Martin Luther King, Jr. wrote in his landmark essay Letter from a Birmingham Jail, following the teachings of St. Augustine: “‘An unjust law is no law at all.’… Any law that degrades human personality is unjust.” It is especially in instances such as these that strong moral leadership is needed, and we are appealing to the governor, state legislators, and all concerned Arizonans to provide it. Please choose to be on the right side of history and work to overturn this patently unjust law. We thank you for your time and attention in this important matter. IT is generally the case that the groveling of the most fervent and servile admirers of the empire blinds them to seeing the horizon. That is what has happened to Luis Fortuño, the colonized and neoliberal governor of Puerto Rico. On April 26, in the midst of a university strike in full spate, it occurred to him to state that the students involved have the "privilege" of studying and even when their matriculation fees are increased, they will always be lower than those of private colleges. He recalled that the country’s universities cost each taxpayer $726, for which reason he believes that it is logical that when the state budget is reduced, contributions should follow suit. That is his simple response to the demands of the universities. From next year, $100 million is to be slashed from their budget. Fortuño did not anticipate that the university strike – to which he evidently attached little importance – would transform itself in the space of seven weeks into a veritable headache for his colonial administration, which has been placed in checkmate in just 18 months. Students went on strike on April 21 in Río Piedra and 10 other precincts to oppose budget cuts eliminating study benefits, including matriculation exceptions for certain categories of students, and to protest the intention to privatize the University of Puerto Río (UPR). Given the conduct of Fortuños and his team, their action has been increasing in giant bounds. However, and like never before, the demands of one sector on this island have succeeded in winning support from trade unions affiliated to the U.S. AFL-CIO and Change to Win, which called a general strike together with the Puerto Rican Workers Federation, without the solidarity backing of Prosol, which groups together labor unions that do not share the U.S. line and are maintaining a camp alongside the Río Piedra precinct. The Lawyers and Physicians and Surgeons Associations are also supporting the student strikers, together with the overwhelming majority of Puerto Ricans, at the risk of coming under violent attack by the security forces. Two disproportionate measures, disastrous for the colonial administration, have been adopted in these past weeks and which, far from working in the direction of solving the conflict, have aggravated it. The first was the stupidity of the university authorities’ decision to abandon negotiations and close Río Piedra until July 31, and the second was to order the police to surround the facilities with the express intention of preventing families and sympathizers from giving the striking students food, water and medicines, given that electricity and water supplies had been cut off. That has been compounded by the news – at the moment of writing this article – that Higher Court Judge José Negrón Fernández has accepted a lawsuit filed by the UPR administration instructing students to leave the university and be legally obliged to abandon their strike. According to the journalistic source the injunction has been granted on the basis of the academic and administrative recess decreed by acting rector Ana Guadalupe and the Labor Federation until July 31. And that is not all. With this decision, the administration has increased from seven to 21 the number of students being sued, including members of the student negotiating committee which was supposedly to reassume negotiations with UPR President José Ramón de la Torre on May 20. That decision closed the doors, at least prior to that date, to the continuation of dialogue advocated by the students and gave them up until 5:00 p.m. on May 22 to abandon the university precinct. Lacking any argument, the university authorities have been utilizing the forces of colonial justice, a total accomplice of the current administration of Luis Fortuño, to attempt to oblige the students to give up their action, albeit using legal means. In any event, the Puerto Rican universities have demonstrated that the moral and combative reserves of the people are intact and that its finest minds are confirming that nobody can seize from them their culture and their identity, the irreplaceable bases of a struggle that will continue until independence is attained. As the message sent by the striking students to Cuba’s National Assembly of People’s Power states, "Once again Puerto Rico is fighting." PHOENIX — Two sides of the immigration debate converged here Saturday: a throng of several thousand marching for five miles opposed to Arizona’s new immigration law, and several thousand nearly filling a nearby stadium in the evening in support of it. Organizers said the timing was coincidental, with both sides taking advantage of a holiday weekend to bring out the masses. But the gatherings encapsulated in a single day the passions surrounding the national immigration debate, recharged by the new law, which will expand the state’s role in immigration enforcement. Both demonstrations made a point of waving a large number of American flags and issuing pleas for a national overhaul of immigration law, but they offered a jarring study in how polarized the debate has become here. At the rally in favor of the law, which began with the pledge of allegiance and the national anthem, any mention of Mexico or supporters of the law brought lusty boos — a video clip of President Felipe Calderón of Mexico especially fired up the crowd, which was mostly white and middle-aged or older. Placards like “Illegals out of the U.S.A.” were typical, though speaker after speaker ridiculed the idea that the crowd was racist. Far more attended the earlier rally opposed to the law, which included a five-mile march to the Capitol in withering heat. It was one of the largest since Gov. Jan Brewer signed the law April 23. Some were citizens, like Armando Diaz, 33, a mechanic born and raised here who believes the law has helped spread anti-Latino fervor in the state. The later rally, at sundown, was organized by Tea Party groups from St. Louis and Dallas who said they decided to take the lead and support the state against a wave of boycotts protesting the law, some by cities like San Francisco and Seattle. The law — barring any successful legal challenges — will take effect July 29. It would allow the police to check the immigration status of people they suspect are illegal immigrants when they have been stopped for another reason. It also makes it a state crime, not just a federal one, to not carry immigration papers. Advocates see it as a tool for law enforcement to weed out illegal immigrants, while five lawsuits filed against it call it an infringement on federal authority and suggest that Latino citizens and legal residents will be swept up for questioning. On another front, the governor and attorney general are disputing who will defend the state against the legal challenges and possible litigation by the United States Justice Department. Ms. Brewer, a Republican, said Friday she had removed the state’s attorney general, a Democrat and vocal opponent of the law, from defending it, accusing him of colluding with the Justice Department as it nears a decision on whether to challenge the law in court. But the matter remained in dispute on Saturday, as the attorney general, Terry Goddard, a Democrat and potential challenger in her re-election bid, said in an e-mail message that he was “definitely defending the state” in legal challenges to the law. Ms. Brewer said she took action after Mr. Goddard met Friday with Justice Department lawyers, who then met with her legal advisers. Justice Department officials said they routinely meet with a state’s attorney general and governor when considering legal action against their state. “We continue to have concerns that the law drives a wedge between law enforcement and the communities they serve, and are examining it to see what options are available to the federal government,” said Tracy Schmaler, a department spokeswoman. The United States attorney general, Eric H. Holder Jr., has said he worries that the law may intrude on federal authority and lead to racial profiling. Protest rallies were also held Saturday at the state capitols in Texas and Oregon, as well as in San Francisco, according to The Associated Press. At the Arizona demonstrations, opinions could not be further apart. She denounced the climate of fear in the state and said immigrants like her could not abide the wait of a decade or more for a legal visa while their families grow hungry. But Ann Hyde, a radiological technologist from Chandler, said she grew frustrated at supporters being tarred as prejudiced or worse. Though violent crime is declining in Arizona, as in most other states, and illegal immigration is down at the border, speakers played up crimes that illegal immigrants have been charged with over the years, including shooting of police officers. “One is too many,” said Mark Spencer, the chairman of a union representing rank-and-file police officers in Phoenix. Ana Facio Contreras contributed from Phoenix. While this crisis in south Texas does reflect a compositional effect of the presence of immigrants, equally or more important is the lack of access to preparation and testing sites, and the availability of preparation and testing in Spanish. last week by the Pew Hispanic Center. attract them back into education." aged blacks and 14 percent of whites in the same age group. research assistant for the Pew Hispanic Center, states in the study. including testing for the GED. of sites in the Valley, she said. provide residents with locations to prepare for the GED exam. getting quickly to a testing site," she said. rather than an ending point." Check out the FEA's two-page summary of their ESEA Reauthorization Recommendations. When you hear economists, policy analysts, and academics claim that no everyone should go to college please ask them if that's the aspirations they have for their children. People can be unapologetically offensive when it comes to other people's children. This is a major problem in education policy that we need more people to commit to disrupting. COLUMBIA, Mo. — In a town dominated by the University of Missouri's flagship campus and two smaller colleges, higher education is practically a birthright for high school seniors like Kate Hodges. She has a 3.5 grade-point-average, a college savings account and a family tree teeming with advanced degrees. But in June, Hodges is headed to the Tulsa Welding School in Oklahoma, where she hopes to earn an associate's degree in welding technology in seven months. "They fought me so hard," she said, referring to disappointed family members. "They still think I'm going to college." "College is what every parent wants for their child," said Martin Scaglione, president and chief operating officer of work force development for ACT, the Iowa-based not-for-profit best known for its college entrance exam. "The reality is, they may not be ready for college." President Barack Obama wants to restore the country's status as the world leader in the proportion of citizens with college degrees. The U.S. now ranks 10th among industrial nations, behind Canada, Japan, Korea and several European countries. But federal statistics show that just 36 percent of full-time students starting college in 2001 earned a four-year degree within that allotted time. Even with an extra two years to finish, that group's graduation rate increased only to 57 percent. "A four-year degree in business – what's that get you?" asked Karl Christopher, a placement counselor at the Columbia Area Career Center vocational program. "A shift supervisor position at a store in the mall." At Rock Bridge High School, one of Columbia's two high schools, 72 percent of the class of 2008 moved on to four-year colleges, with another 10 percent attending community college. That college attendance rate is consistent with national statistics. Hodges has been set on a welding career since she was 13. She craves independence and has little patience for fellow students who seem to wind up in college more from a sense of obligation than anything else. "School is what they've been doing their whole lives," she said. "So they just want to continue. Because that's what they are used to." Sue Popkes doesn't hide her disappointment over her younger daughter's decision. At the same time, she realizes that Hodges may achieve more financial security than a college degree could ever provide. "It's sad to know she's going to miss that mind-opening effect of an undergraduate degree," Popkes said. "To discover new ideas, to become more worldly." Ohio University economics professor Richard Vedder blames the cultural notion of "credential inflation" for the stream of unqualified students into four-year colleges. His research has found that the number of new jobs requiring college degrees is less than number of college graduates. Vedder's work also yielded something surprising: The more money states spend on higher education, the less the economy grows – the reverse of long-held assumptions. "If people want to go out and get a master's degree in history and then cut down trees for a living, that's fine," he said, citing an example from a recent encounter with a worker. "But I don't think the public should be subsidizing it." Margaret Spellings, former federal education secretary under George W. Bush, remains a strong proponent of increased college access. She points to research showing that college graduates will on average earn $1 million more over a lifetime than those with only high school degrees. "It is crucial to the success of our country and to us as individuals to graduate more students from college," she said at a National Press Club forum earlier this year. "We Americans greatly believe that education is the great equalizer." For many, the dream of earning a college degree – and the social acceptance that comes with that accomplishment – trumps a more analytical, cost-benefits approach. John Reynolds, a Florida State sociology professor, found that unrealized educational expectations do not lead to depression or other long-term emotional costs. "Rich kids, poor kids, 'A' students, 'C' students – we really didn't find any lasting impact on not getting the degree," he said. Scaglione suggested that nothing short of a new definition for educational success is needed to diminish the public bias toward four-year degrees. 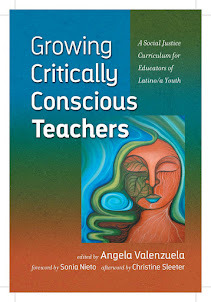 He advocates "certification as the new education currency – documentation of skills as opposed to mastering curriculum." "Our national system is, 'Do you have a degree or not?'" he said. "That doesn't really measure if you have skills." Once again we see how our fastest growing subgroup (ELLs) are an afterthought in policy making. We need to really make a shift in the way we conceptualize these students together with college readiness. This is an area that select policy makers in Texas are beginning to make a priority but more work is certainly needed. Check out UCLA's Policy Brief. This story shows us how what's happening in Arizona and other states effects us ALL! This should be a concern for everyone. The discussion in Texas is that similar legislation will be filed here, and that it will not pass. Regardless, we need to be concerned with the effects that this sentiment has on our society, with or without a policy. R-Tomball on this issue in Texas. If you're born in the U.S.A., you're an American citizen. Some lawmakers, however, plan to challenge that basic assumption. In what might be the next great flash point in the nation's ongoing debate about immigration policy, legislation has been introduced in Congress and a pair of states to deny birth certificates to babies born of illegal-immigrant parents. "That was the primary purpose of the bill, for someone to sue us in federal court, and let's resolve this issue once and for all," says Texas state Rep. Leo Berman, a Republican who has introduced a bill to deny birth certificates to the newborn children of illegal immigrants. "I believe we are giving away 350,000 citizens a year to children born to illegal aliens." Berman faces an uphill battle. For more than a century, courts have held that citizenship is granted to anyone born within the territory of the United States. The 14th Amendment, which was ratified in the wake of the Civil War, overturned the Dred Scott decision, clarifying that the children of former slaves were citizens and entitled to constitutional protections: "All persons born or naturalized in the United States, and subject to the jurisdiction thereof, are citizens of the United States and of the State wherein they reside." Since then, courts have made it clear that this applies to the children of American Indians, visiting diplomats and Chinese guest workers, among other groups. The principle of birthright citizenship has never been successfully challenged, according to immigration lawyers. But the federal courts have never specifically addressed the question of whether children born to those in the country illegally should be entitled to citizenship, says Michael M. Hethmon, general counsel of the Immigration Law Reform Institute, which favors tighter restrictions on immigration and has advised the state legislators on their efforts. Berman says the 14th Amendment was meant to clarify the status of freedmen and "does not apply to foreigners. The 14th Amendment, which is being used to provide citizenship, is the last thing that should be used." The authors of the 14th Amendment, he argues, intended to make citizenship contingent on allegiance to the country. The congressional debate at the time makes it clear that this did not apply to foreigners, Berman says. "There cannot be a more total or forceful denial of consent to a person's citizenship than to make the source of that person's presence in the nation illegal," Lino A. Graglia, a professor at the University of Texas law school, wrote in a law review article last year. "This would clearly settle the question of birthright citizenship for children of illegal aliens." Opponents to granting birthright citizenship often grab hold of the phrase "subject to the jurisdiction thereof," saying that those in the country illegally are by their nature not subject to the jurisdiction in question, whether it's the U.S. or a particular state. Many other lawyers say that's a false reading. "Of course they're under our jurisdiction," says Michele Waslin, senior policy analyst with the American Immigration Council, which works to protect the legal rights of immigrants. "If they commit a crime, they're subject to the jurisdiction of the courts." Not every nation grants citizenship as a birthright. Sometimes it is an inheritance from one's parents, based more on blood than land. But challenging the traditional expectation that anyone born within the physical territory of the U.S. is automatically a citizen represents a "major change in a bedrock principle that has lasted for decades," says Karen Tumlin, managing attorney for the National Immigration Law Center, a public interest legal group based in Los Angeles. "It's a core American belief that those who are born here get integrated into our society, no matter where your parents are from," she says. "This would be an erosion of the core principles about who belongs in this country." That's precisely the argument opponents of birthright citizenship want to start. If a law denying birth certificates to the children of illegal immigrants passes — and it's written in such a way that it gets argued in federal court, rather than being dismissed out of hand — it will have more of a "galvanizing effect" than the recent passage of a strict anti-immigration law in Arizona, says Hethmon, general counsel of the Immigration Law Reform Institute. "All the interested parties, which in the case of birthright citizenship includes everyone in the country, would have to respond to it, either supporting it or opposing it," Hethmon says. "Who is an American? If that question can't be answered, it's hard to conceive of a greater constitutional crisis for a democratic republic." Check out the full report Preparing Teachers: Building Evidence for Sound Policy here. WASHINGTON – Associations, accreditors and scholars have issued report after report proposing ways to improve teacher preparation, but a high-profile federal study released Thursday urges the U.S. Department of Education and states to collect more data on teachers and their routes to the classroom before initiating widespread reform of education schools and alternative routes to certification. Published by the National Research Council and funded by the Education Department's Institute of Education Sciences, the report, “Preparing Teachers: Building Evidence for Sound Policy,” calls on the department to facilitate a national system for tracking data on teacher education and to commission a study to make sense of the varying standards that exist for accreditation and state approval. It’s a none-of-the-above response to a charge given to the study’s authors -- the Committee on the Study of Teacher Preparation Programs in the United States, which is a panel of 17 education experts, mostly university faculty -- by Congress: to collect and analyze data and research on undergraduate and graduate teacher preparation programs, as well as alternative routes to certification. The committee also set out to determine whether teachers of reading, math and science were well-prepared for their jobs. “It seemed so simple and straightforward to answer these questions,” said the committee’s chair, Ellen Condliffe Lagemann, a research professor at Bard College’s Levy Economics Institute and former dean of Harvard University’s Graduate School of Education. The committee calls for research that would compare programs’ selectivity, timing and characteristics, as well as various means of teaching classroom management skills and how to teach a wide range of students, to help determine the essential components of teacher preparation programs. Though there is some research comparing outcomes for teachers who have emerged from undergraduate, graduate and alternative certification programs, the report argues that scholars and policy makers need more information to fairly assess programs’ merits. Accreditation standards for programs vary state by state and often rely on a mix of state-determined requirements, one or more regional accrediting bodies, and the criteria set forth by the National Council for Accreditation of Teacher Education or the Teacher Education Accreditation Council, the two national accreditors of teacher preparation programs. Though NCATE, the body that accredits the largest number of education programs nationwide, provided data to the committee, its officials were not included in the deliberations that led to the production of the report. Nor were the major teachers' unions, the American Federation of Teachers and the National Education Association, or other groups that have spoken out on reforming teacher preparation, like the American Association of Colleges for Teacher Education. But there is also enough information available, from examinations of many successful programs and schools, to reach some conclusions about what works and what doesn't. "We know we're moving toward a new system of education that's outcome-based, increasingly individual and accountability driven," he said. "The teacher is going to have to be a diagnostician of what the student needs and how the student learns; a prescriptor of how the student should go about learning; an assessor of student progress and achievement and outcomes." All of the admissions hysteria in full swing this time of year tends to suggest that nothing could be more decisive in a young person's life than getting in to the right college. What the discussions ignore is that for many of these people (about a third, at least), they will apply and be admitted to another undergraduate college before earning a degree -- as part of the transfer population. In some parts of the country, it is the norm to transfer. All of that in turn raises the question of how colleges evaluate transfer applicants -- and a study being released today by the National Association for College Admission Counseling tries to illuminate that process. Not surprisingly, grades in college courses already taken are by far the most important factor in these transfer admissions decisions, according to a survey of admissions officers released by NACAC, and this was true for public and private colleges alike. But in some key respects, private colleges are much more likely than publics to pay attention to factors commonly associated with a first undergraduate admission and with a more individual review -- including test scores, high school quality, personal essays and interviews. In many of these areas, it is only a minority of private colleges that care, but these factors are negligible at most public institutions. These differences could be important for those guiding students through higher education. While public university systems and community colleges have spent a lot of time talking about the pathways between them, much less is widely understood about transfer to private colleges -- even as increasing numbers of them are reaching out to community college students and others about transfer. The overall figures suggest that most students who apply to transfer are admitted and most of those who are admitted actually enroll (the figure known as yield). Over all, 64 percent of transfer applicants are admitted -- a little less than those applying for first-time admission (69 percent). The admission rates (but not the yields) are lower for institutions that are more selective in admitting first-time students. Asked to identify factors that would make candidates more or less desirable for admission, those evaluating transfer applications were generally neutral, suggesting a focus on individual qualifications. The factor that was most likely to be viewed as "positive" was prior attendance at a highly competitive four-year institution, at 50.0 percent. In contrast, only 39.5 percent viewed earning an associate degree as a positive, as opposed to neutral. The factor most likely to be viewed as negative -- at 10.6 percent of admissions officers -- was a plan to enroll part time. Where the public/private differences show up is in the factors that admissions officials say have "considerable importance" in admissions, with public institutions focused largely on grades in college generally and grades in transferable courses. Private colleges care about those things, too, but are more likely to care about a range of other factors. NEW ORLEANS -- A few years ago, most of the enrollment-related sessions at a meeting like the annual conference of the American Association of Collegiate Registrars and Admissions Officers were related to getting students in the front door. Some still are -- colleges still must keep up a steady flow of entering students, of course. But an unmistakable shift toward worrying about retaining existing students was in evidence at last week's AACRAO meeting here, with the agenda studded with sessions on how institutions can do a better job educating students in whom they have already made an investment -- and vice versa. Two such sessions showed the full spectrum of the retention cycle. One focused on how institutions can more successfully help new students stick around. In a presentation called "Improving First-Year Retention Through Research," K. Celeste Campbell, university registrar at Oklahoma State University, described a study the institution had undertaken aimed at figuring out which factors most contributed to the higher-than-desired levels (23 percent in 2007, up from 20 percent in 2006) at which freshmen at Oklahoma State did not return as sophomores. While there is lots of national research on why students don't persist in college, "retention is so complex, we really needed to spend some time figuring out what are the most important factors in our particular institution so we can expend our energy on those," said Campbell. University officials compared all full-time freshmen in 2006 and 2007 to see which factors most differentiated the students who returned for a second year from those who did not. Characteristics such as race, age, and whether students lived in residence halls did not emerge as statistically significant factors, but five things rose to the top: Students who did not return had lower first-semester grade point averages (1.99 vs. 3.06), earned significantly fewer credit hours during that semester (9.28 vs. 13.41), were more likely to have unpaid bills (22 percent vs. 4 percent), had withdrawn from more credit hours (2.32 vs. 0.71), and came into Oklahoma State with significantly lower high school GPAs (3.34 vs. 3.57). Based on that finding, the university put in place an "intervention effort" in the 2008 academic year in which it directed extra advising to students who displayed those factors or developed them as the year wore on. Students who had more than one of those factors -- came into Oklahoma State with a low high school GPA and then had an unpaid bill after the first semester, for instance -- were a higher priority for help, said Campbell. "We don’t have the resources to do everything we want to do, so we focused our advising attention on areas that would make the most difference." First-year retention rose slightly in 2008, to 78.7 from 77.4 in 2007, although Campbell acknowledged that Oklahoma State officials can't say for sure that the intervention made a difference. But at the very least, she said, the university is basing its actions on data in a way it had not before. "We sometimes make our decisions at any level based on isolated incidences, or interactions with just one or two students," she said. "We see their stories and say, 'Let’s go in this direction, without really knowing how many people it’s going to help.' The advantage of having data analysis is that with all these directions we could go, it helps us decide where should we focus our time and energy." The second session focused on a very different part of the college pipeline -- the very end. Kathi M. Baucom, associate provost for enrollment management at the University of North Carolina at Charlotte, described her institution's efforts to recapture a group of students it had been unable to retain in the past -- seniors who finished the vast majority of their course work but left without earning a degree. The 49er Finish Program, modeled on similar programs at the University of New Mexico and the University of Wisconsin at Oshkosh, focused on nearly 2,500 students who had left the urban public university in the previous seven years having accumulated at least three years of academic credit and GPAs of at least 2.0. With the university striving to improve its retention and graduation rates, this was a logical group to target, said Baucom. "This is the perfect group for you to recruit back," she said. "The students had already invested a lot of time with us. They were academically successful anyway, and you didn't have to decide whether they could do the work. Plus, they were older and wiser -- they were not the 18-year-olds who came because of mom and dad. This is their time, their money, so they’re going to do better." About one in 10 of the recipients returned the survey, offering helpful insights into their primary reasons for leaving: inability to get "the courses they needed at the times they could take them," difficulty balancing school and life/work demands, inadequate advising, insufficient financial aid -- and dissatisfaction with parking. More than 100 of the 133 also sent back an accompanying postcard asking the university to contact them about finishing their degrees. The provost's office provided another $10,000 in one-time funds that allowed the university's adult education office to reach out to those who had expressed an interest in returning. A total of 55 students of that initial pool ultimately returned to the campus to complete their degrees, generating $83,000 in tuition revenue that first year. At this point, Baucom said, a total of 311 students attracted by the program have graduated, and 131 more are currently enrolled. The university has now funded a full-time position to oversee the program, which has also earned a $50,000 grant (now renewed) from the Bernard Osher Foundation's Reentry Scholarship Program, allowing Charlotte to offer small grants to those who return. The university is now looking to expand the program, reaching further back to those who left the institution even earlier. Austin school district trustees approved future plans to revamp academics at Reagan High School and Pearce Middle School. The repurposing plans of the two schools include starting an Early College High School at Reagan, in which students could get up to 60 hours of college credit that counts toward their high school graduation requirements, and an academy at Pearce to prepare students for the early college program. Trustees are now discussing contingency plans for the schools, including which schools to send students in the event that the state decides to close either school. That decision could come during the June 7 school board meeting. Superintendent Meria Carstarphen announced at tonight’s Austin school board meeting that preliminary results from the state mandated tests make it “reasonable to conclude” that Reagan High School and Pearce Middle School will be rated academically acceptable. Both schools face closure by the state after multiple years of failing to meet state academic, attendance and dropout standards. “The preliminary data for those two schools are very strong and I am encouraged,” Carstarphen said. Carstarphen made the announcement tonight minutes before the school board’s discussion on future plans to revamp the two schools. Trustees were discussing late Monday night approval of the repurposing plans of the two schools that include starting an Early College High School at Reagan, in which students could get up to 60 hours of college credit that counts toward their high school graduation requirements, and an academy at Pearce to prepare students for the early college program. Here's a great video of the courageous students defending human rights. Immigrant Students Detained for the DREAM Act from Barni Qaasim on Vimeo. ¡Alto Arizona! Isabel Garcia from Barni Qaasim on Vimeo. Isabel Garcia, Pima County Public Defender and Derechos Humanos member speaking out against Arizona's SB1070. Sign the petition at altoarizona.com and come to the National Day of Action in Phoenix, AZ on May 29, 2010. On Friday, April 23rd, Governor Jan Brewer joined the ranks of George Wallace and others like him who sought to gain political advantage by encouraging hatred and bigotry. And while Brewer and Sheriff Joe Arpaio may have written themselves into the history books by supporting this repugnant law, they will appear as nothing more than a footnote. Indeed, this chapter of history will be written by the millions of immigrants who assert their place in the American story like all others who came before them. This chapter will be written by a new generation of fearless leaders, like the thousands of high school students who walked out in Phoenix and Tucson, and the nine brave leaders who sacrificed their freedom to prevent and protest the enactment of an unjust and unconstitutional law. It will be written by all of us. Arizona's immigrant community is organizing and preparing to mount the political, legal, and economic pressure needed to restore constitutional protections to the state. They need the nation's help to change the federal policy that allowed for the formation of SB 1070. The simple fact is that the President of the United States has the moral authority and legal obligation to intervene and put an end to SB 1070. Opposed to the SB 1070 immigration law, he's urged a boycott on his own state. Critics have called him irresponsible. Rep. Raúl M. Grijalva of Arizona has been characterized as passionate, outspoken and just plain stubborn. After he called for a boycott on his own state because of its new immigration law, his office received death threats. But he didn't back down. Instead, Grijalva continued to denounce the law, calling it "racially motivated." Such is the style of Grijalva, 62, who has become the face and voice of SB 1070 opposition in interview after interview in newspapers and on television. Unlike some politicians, Grijalva is consistent, said Rep. Trent Franks (R-Ariz.), who calls the Democrat his political "diametric" opposite. "I haven't seen him change his perspective hardly ever." Phoenix officials have estimated that the city could lose more than $90 million over the next five years in canceled hotel and convention center business because of the boycott. As a result, Grijalva has been called irresponsible and a grandstander. "How does that help his working-poor constituents, some of whom earn their living in the hospitality and restaurant industry in Arizona?" said Mike Hellon, the former GOP state chairman. Grijalva, one of the most liberal representatives in Congress, places the blame with the GOP-controlled state Legislature and Republican Gov. Jan Brewer. "The irresponsibility occurred when the governor put her signature on that law," he said. For Grijalva, who prefers western bolos over neckties, immigration issues strike a personal chord. Grijalva's father, "a cowboy," migrated to the U.S. in 1945 during the bracero program, which brought in guest workers from Mexico to offset the loss of farmworkers serving in World War II. His father became a citizen, sponsored by a construction employer. Grijalva is a Tucson native who became the first of three children to attend college. At the University of Arizona he became involved with the Chicano Liberation Committee, an organization that pushed for the recruitment of Latinos at the school and advocated for a Mexican American studies program. Grijalva said he was motivated by his parents, who pushed him to become educated. "It's very much the immigrant tradition," he said. In 1972, after several years as a community organizer, he decided to vie for a seat on the Tucson Unified School District Governing Board. He lost and said he learned that he couldn't run for an elected position by appealing solely to Latino voters. He moved on to the Pima County Board of Supervisors. In 12 years, he successfully advocated for a paid Cesar Chavez holiday and worked on the Sonoran Desert Conservation Plan, which seeks to protect open spaces of desert but allow for growth. He often fought with his four colleagues to secure funding for health clinics in the area. Grijalva was elected to Congress in 2002 with 59% of the vote. He's developed a reputation for advancing environmental and labor causes, and in the last three elections, he hasn't received less than 61% of the vote in the Latino-dominated 7th District, which includes a large portion of southwestern Arizona. "My whole family, personal and political life sprung from that community," he said recently of the area he represents. Rep. Steve King (R-Iowa) alluded to the district's location when slamming Grijalva's call for the boycott. "I'm wondering if we look at the map of Congressman Grijalva's congressional district, if we haven't already ceded that component of Arizona to Mexico judging by the voice that comes out of him," he told Fox News. "He's advocating for Mexico rather than the United States and against the rule of law, which is one of the central pillars of American exceptionalism." But Grijalva's stance resonates with his voter base, said John Garcia, a University of Arizona political science professor who has known Grijalva since 1972. "He's sort of reflecting a lot of the sentiment and frustrations and anger not just among Latinos, but people who are dissatisfied with the whole battery of anti-Latino legislation," Garcia said.